Ram Vilas Paswan is the Union Minister for Food and Consumer Affairs. New Delhi: The government is considering bringing back import duty on wheat to protect farmers' interest after a bumper domestic crop, Food and Consumer Affairs Minister Ram Vilas Paswan said today. 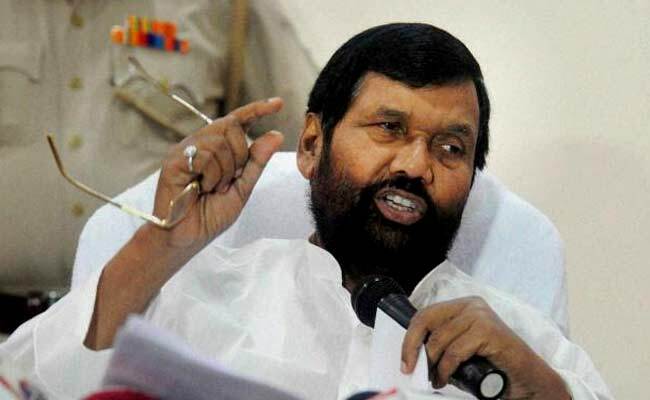 Responding to concerns expressed by the opposition on farmers being forced to sell wheat below the minimum price set by the government, Mr Paswan said import duty on wheat was zero between 2006 and 2015. In 2015, a customs duty of 25 per cent was levied on wheat which was subsequently cut to 10 per cent and totally removed in December last year. The duty was cut following fears of a spike in prices as wheat output had dropped due to hail storm, he said, adding the crop production this year has been at a record 96.64 million tons besides 6.5 million tons been in stockpile. The government had not rushed into reimposing the import duty as a precaution, as it watched if an unseasonal rain or hailstorm would spoil the crop and create a crisis, he said. "Raising import duty is under the consideration of the government and we will take action (on it) soon," he said. Earlier raising the issue through a zero hour mention, Samajwadi Party's Ram Gopal Yadav said farmers in Gujarat and Madhya Pradesh were being forced to sell their produce before the Minimum Support Price of Rs 1,625 per quintal due to cheaper imports available as a result of zero customs duty. He said the cost of production of wheat comes to Rs 1,900 per quintal and farmers were losing Rs 300 per quintal on at current MSP. Unless import duty is levied, farmer will continue to be in distress, he said. Congress lawmaker Digvijaya Singh said MSP operation should be started in states were early variety of wheat is available. His party colleague Pramod Tiwari said 119 farmers had committed suicide in Maharashtra because of the distress caused by zero import duty and unremunerative prices. Senior Congress leader Anand Sharma wanted to know why the import duty was cut from 25 per cent to zero in first place.